We offer outstanding quality Hologram Masters to our esteemed clients all across the globe. Fabricated using unique holographic production technology, the range cannot be duplicated. With the help of these products, we also provide them with the most complex security attributes that are different from others in the Industry. Further, the offered products play a significant role in the hologram development. These masters are compatible for both narrow web Machine hard/soft wide web Machine to produce embossed Hologram Stickers and holographic packaging materials. All type of the holographic masters can be developed with our advanced holographic master origination system and recombination system. 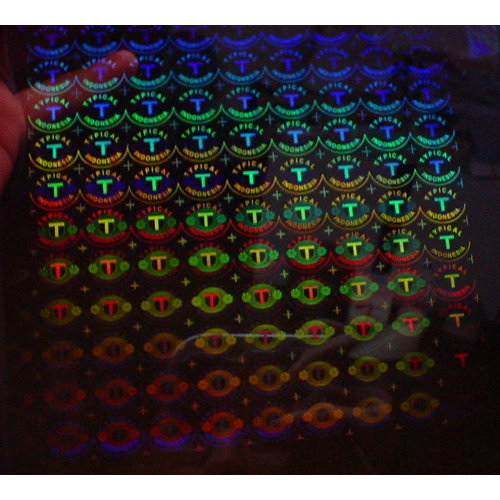 Dot Matrix Hologram Masters - comprised of many tiny dots, each a separate diffraction grating.